Looking for the 2018-2019 celebration? Click here! Our New Year's Eve Celebration is *SOLD OUT* for 2017-2018. Please do not show up without a presale ticket. We are open our regular hours tomorrow, January 1st (10am-8pm), and hope to see you then! 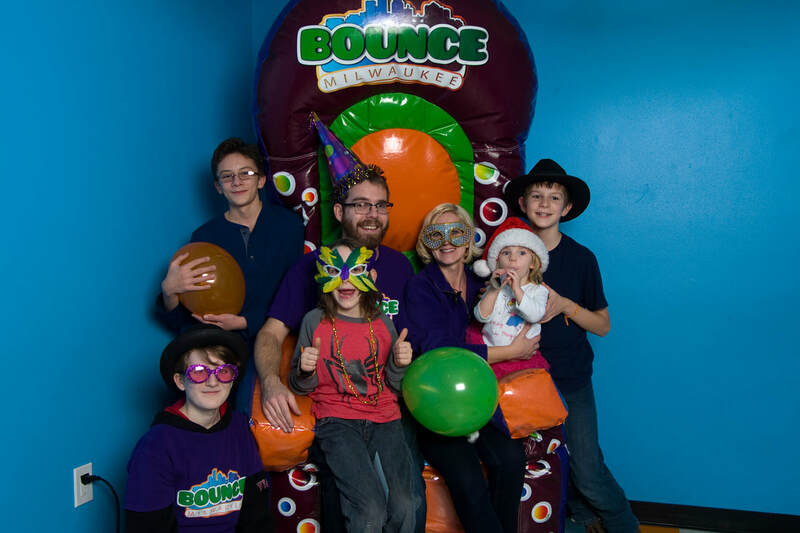 Your Everything ticket gets you all-access to all of our attractions: laser tag, rock climbing, inflatable sports and obstacle courses, free-play on vintage arcade games, air-hockey - even massage chairs for the adults! 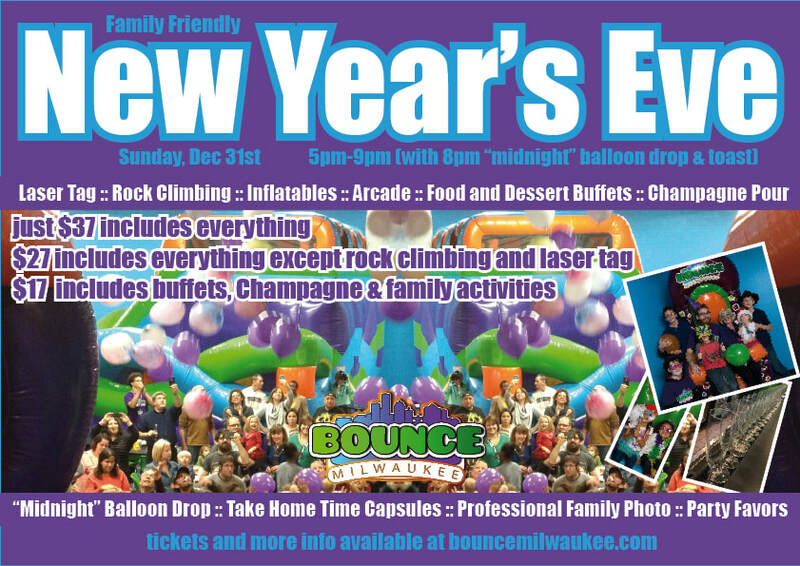 For New Year's, you'll also get access to our balloon drop, our Champagne/sparkling juice toast, time capsule creation and more. We'll even have a dedicated, professional photographer on-site for posed pictures and candid shots of you and your family. You can choose the "Everything" ticket, which includes all of the attractions and buffet, the "Bounce" ticket, which includes it all except laser tag and rock climbing, or the "Observer / food-only" option. 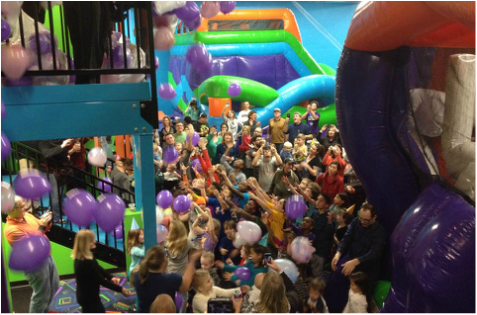 We recommend "Everything" tickets for most kids and adults capable of play, and "Bounce" tickets for those under 3 or 4. If options for ticket sales do not appear on this page, it means that we are sold out again this year. Please do not show up without giving us a call to confirm if we can allow you in.